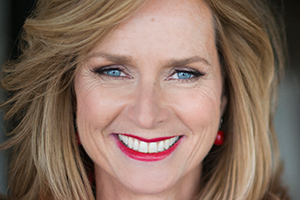 As one of Australia’s most prominent entrepreneurs, Naomi Simson is known as the founder of online experience retailer RedBalloon and the co-founder of the Big Red Group, which houses a number of brands including Adrenaline, Albert AI (Marketics) and Redii.com with the purpose of shifting the way people experience life. The group now serves an experience every minute, and turns over more than $100m. This is quite the entrepreneurial journey as Hitwise has identified that BRG is now the third largest experience retailer of its type in the world. Naomi together with her business partner and her colleagues has clear aspirations to grow to serving and experience every second somewhere on earth by 2025. Naomi is a passionate supporter of Australian businesses, a prolific blogger and business commentator, best-selling author and much sought-after keynote speaker. She has appeared in four seasons of the Australian Shark Tank as the #redshark. Author: A true business influencer and leader with more than 2.8 million LinkedIn followers, Naomi is Australia’s most followed person on the business networking platform. She has authored two best-selling books Live What You Love, and Ready to Soar, and is an engaging and insightful speaker. Naomi is relatable across a broad variety of audiences and topics, often drawing on her own personal experiences to provide thoughtful and valuable views into topics, including Influence, purpose, leadership, entrepreneurship, personal development, customer obsession and digital marketing transformation. 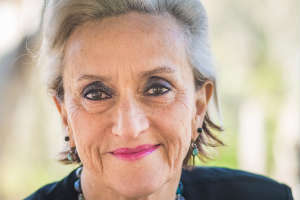 Brands: Before founding RedBalloon, Naomi worked for big businesses including IBM, Apple, KPMG and Ansett Airlines – all of which influenced her passionate views on workplaces. Awards: Naomi has received a number of high profile awards including the National Telstra Business Women Awards for Innovation (2008), Ernst and Young Entrepreneur of the Year Industry category winner (2011) and the Lifetime Achievement Silver Stevie Award (2013). In early February 2017, Naomi commenced her role as a member of the University of Melbourne's Faculty's Business and Economics Board. Animated, dynamic, amusing ... Naomi personifies RedBalloon's culture. At a Hudson Human Resources celebration, Naomi's candid insights, self-deprecating humour and unapologetic passion for her business kept the audience engaged, entertained and challenged to think differently. I highly recommend Naomi as an inspirational speaker. There was so much about Naomi's session that really resonated. Naomi's authenticity and her lessons around the importance of engaging and empowering our people, listening to our customers, knowing yourself and the role of leadership were all talked about for the remaining days of our conference. It was such a great talk around the importance of vision and values and the feedback I got afterwards from the team was overwhelmingly positive. We loved all of it and are very fortunate to have had Naomi at our session. 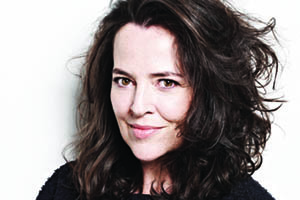 Naomi is an engaging and entertaining speaker with a massive amount of credibility. Her business message is enhanced though appropriate story telling. Our conference delegates were extremely pleased to have heard, seen and met Naomi. Naomi Simson launched our REIV Breakfast Club series. Naomi is a passionate speaker with a clear message about experiences. Experiences that occur with your brand, your people & your customers. Naomi shared with us her story and along the way got the room to understand key messages around how are people were experiencing their brand and service, that clients want dialogue and interactions and that marketing is a way of being. No one can have the greatest business in the world without the greatest people and how your employees speak about you is how your brand is perceived. In this current tight labour market Naomi&apos;s message was a key one for all managers and business owners. As she says in her book happy people = happy customers = happy profits. Her style was engaging and her message struck a chord, was timely and pitched at just the right level! Naomi was a dynamic, energetic and passionate speaker. She presented powerful and clear messages that not only resonated because they were personal accounts, but also provided a refreshing and honest viewpoint. It was also incredibly exciting to see a female all-rounder who has persevered and achieved such amazing success. Naomi was easy to work with, not demanding at all, and is definitely someone we would love to have join us again. Naomi, Thank you so much for passionately presenting to our senior women leaders. You were an absolute inspiration. Everyone's feedback was overwhelmingly positive. Naomi was brilliant! She was very accommodating for our event needs and then provided an insightful keynote. We have received so much positive feedback. In a sea of potential presenters, Naomi Simson is one of the best there is. During her keynote she created considerable interest with RedBalloon and other examples, but also demonstrated a deep knowledge of business, people and organisational issues that people at management level related to and were able to learn from. There was an overwhelming sense of warmth and satisfaction after the events, much of it based on Naomi being a living example of what she preaches and putting it within reach of others. She's a soft spoken lioness who will engage you from the moment she's introducing herself. Entrepreneurship has a certain romance to it. Here, Naomi will debunk this myth, and others, and share what it takes to keep your eye on the prize. Naomi Simson started her entrepreneurial journey when she founded online experience brand RedBalloon in 2001, with a clear view of what she stood for. 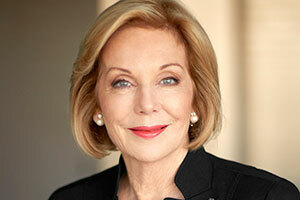 She has now co-founded the Big Red Group, which serves and experience every minute and turns over more than $100m. By aligning ‘the right team’ to a vision, a deep sense of engagement and purpose she accelerated her idea into something big – but she has not done this without many bumps in the road, and great people around her. During this keynote discussion, Naomi will share her experiences and insights on growth and capability, which are anchored around leadership, culture and the customer. She will finish the session by encouraging each participant to think about the ‘one thing’… that, if you worked on it, would make your experience of business easier each day. • There are three elements to business success – growth, customers and people. That might sound obvious but it is the right mix and entrepreneurial insights that will help you navigate what is best for your enterprise. • Learn about the drivers of growth – what they look like and how you can implement them in your business. You will understand what you can do to drive purpose, alignment and leadership throughout your business. • Understand the concept of ‘customer loyalty mirror’ and the correlation between highly engaged teams and end customer loyalty. At the conclusion of this session you will have established ways to harness a customer feedback loop to drive innovation in your business. In this colourful and inspiring keynote, Naomi explores the challenges faced by many businesses that are ever fearful of disruption. With retail closures being reported daily, Naomi spells out her approach to ‘protection from disruption,’ and speaks to the value chain each business must build. This thought provoking presentation draws on cases studies from around the world and will leave audiences in no doubt that it is not all ‘gloom and doom’ in business – growth will come from building unbreakable customer relationships. • Knowing what you stand for – getting customers to talk about you and how to tackle the tricky world of social media. • How to set priorities to invest in scalable customer relationships. • The customer obsession and using a framework as a scorecard to align everyone to the customer experience cause. Business leaders know that diversity, inclusion and employee engagement are all on the commercial agenda – yet what does this really mean? It means the team that ‘plays together, stays together.’ Here, Naomi shares her experience and insight into building focused and productive teams. 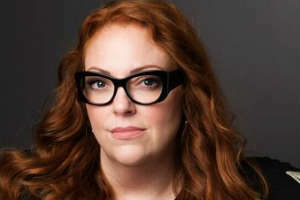 The Big Red Group, which she co-founded in 2017 with business partner David Anderson, has five brands within the group – some of which have been acquired. Creating ‘team’ from disparate groups, with a variety of backgrounds, can be a tough ask. In this challenging keynote, Naomi explores how to influence other people’s views, behaviours and opinions. Emotional connection and storytelling are critical to the ability to influence and unite teams. Leadership and management are uniquely different and often people meld the two. She gives practical tips on what works best, pointing out that it’s not about trying to ‘convince’ someone, but creating the environment for people to thrive. Audiences will be left better equipped to impact those around them. • Knowing what you stand for – your steps to leadership (and facing your fear). • Creating and employee framework for diversity, inclusion and engagement. • Learning about Experiences at Work and how they influence corporate culture and productivity. • Leadership is about aligning everyone to the ‘cause’ – creating a deep sense of purpose. • Learn to identify the ‘One Thing’ that when you do it, everything else becomes easier. Turn your ‘to do list’ into a success list. This presentation will touch, move and inspire. It is relevant to most groups and is all about making powerful choices to live a life that you love. “If you love what you do every day, you never have to work another day in your life.” This is about putting meaning in your work, discovering your passion, learning about positivity and sticking with it, and being persistent. This keynote is all about fulfilling your true purpose. Being an entrepreneur is not for everyone, but knowing what drives you will give you the platform for a rich and wonderful experience of life. Naomi will share real and vivid stories from her personal and business life to demonstrate the power of her personal motto, ‘If it is meant to be, it is up to me.’ The one word we consistently hear after this session is ‘inspirational’. You will be inspired to take action. • Discover your passion – learn how to identify when you are in a flow and doing your best work. • Take responsibility for what you want – not what others want for you. ‘If it’s meant to be it’s up to me,’ and choosing what is the one thing you need to work on. •Play a bigger game – this does not mean tough times will disappear. As a result of this session you are likely to take on bigger challenges, and in turn, experience the joy of deep accomplishment and the resilience that you know you can count on. "The professionalism of the staff at Saxton Bureau from the very first phone call to the very last was nothing but professional and friendly. I definitely hope to work with Saxton's again at some stage in the near future. Emma and Tamie are an asset to your business. Now that I know how easy it is to deal with your company I will not think twice about contacting you for future events."